WASHINGTON, Aug. 8 (Xinhua) -- U.S. experts have said the announcement on Wednesday of fresh U.S. sanctions against Russia over an alleged nerve agent attack on a former Russian spy and his daughter will further worsen the ties between Washington and Moscow. Heather Nauert, spokesperson for the U.S. State Department, said Washington determined on Monday that the Russian government "used chemical or biological weapons in violation of international law or has used lethal chemical or biological weapons against its own nationals." Britain on Monday asked the Organization for the Prohibition of Chemical Weapons (OPCW), the international chemical weapons watchdog, for assistance in the investigation of the Amesbury attack. The OPCW said Tuesday in response to the request that it "will deploy a technical assistance team for a follow-up visit and to collect additional samples." Russia has vehemently denied any role in both attacks. The Russian Embassy in Britain said Wednesday that London's invitation of the OPCW lacked transparency. "The technical assistance requested by the British authorities to 'independently confirm the identity of the nerve agent,' unfortunately, lacks transparency and attests to UK's arbitrary interpretation of the CWC (Chemical Weapons Convention)," the embassy's press officer was quoted by Russia's Sputnik news agency as saying. 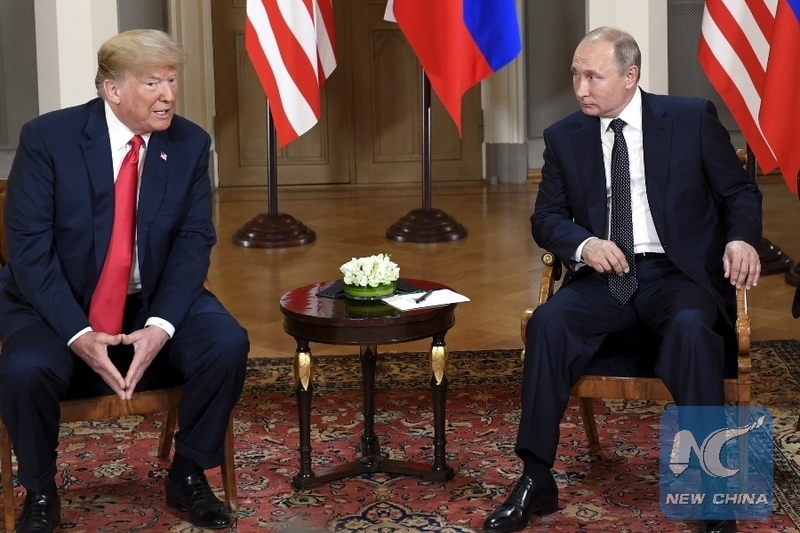 Nile Gardiner of the Heritage Foundation said U.S. policy toward Russia is strengthening rather than weakening following the Helsinki Summit between U.S. President Donald Trump and Russian President Vladimir Putin. "President Trump gave Russia the opportunity to change its aggressive ways, but clearly Putin is not interested in doing so." The scholar foresees "a further deterioration of U.S.-Russian relations, and an increasingly hardline stance from Washington towards Moscow." William Courtney, an adjunct senior fellow at RAND Corporation, took a similar tough stance on Russia, arguing that Washington has other interests with Moscow beyond maintaining good bilateral relations, such as deterring Russia's continued use of weapons that are illegal under the CWC. Carrot-and-stick diplomacy is not unusual, he said. "U.S. and Western strategy with Russia is to cooperate in areas of mutual advantage, but also to deter and raise the cost to it of malign activities."